An economic advisor to the Indian Prime Minister recently highlighted why the failing Indian educational system needs to improve. "I think it's of critical importance. For a long time we have focused on higher education, but in the last decade we have shifted our focus to primary and secondary education. We need every child in school," said Rajan. 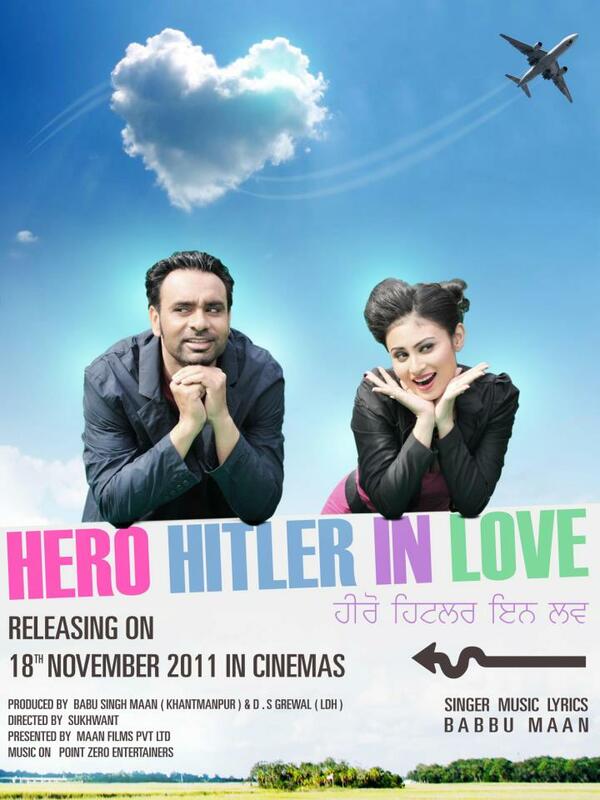 Exhibit A: An upcoming independently-financed Punjabi film called Hero Hitler In Love. Quite literally, the majority of the words to the song are "Hitler in love oh baby, Hitler in love." "Hero Hitler in love revolves around Hitler (Babbu Maan) who lives in his village Ishqpura. Hitler is a man with unique and different thoughts who loves his fellow villagers and helps them unite with their soul mates. Hitler falls in love with Sahiban (Mouni Roy) who lives in Pakistan and decides to bring her to his village. Hitler believes in solving the problems by talking about them but when something crosses the line he decides to become real Adolf Hitler. Hitler loves car racing but when he is set up to fail in the Asian car racing competition he decides to take revenge. The story shapes how Hitler takes his revenge and fights to win his girl and reunite both the nations." Turns out the solution to decades-old bitter hatred between India and Pakistan is simply to win a girl's heart...by transforming into a quirky, love-sick Adolf Hitler. As if that weren't bad enough, take a look at the movie's Facebook page. Look at the number of "likes" and comments on the fairly regular status updates. Greeting all the movie's Facebook fans with "Good Morning, Hitlers ;)" is bad enough. But this one left me speechless. ‎19,000 loving fans for Hero Hitler In Love thank you for your love and support ♥ , we promise we will give you full fun , a family entertainer film this year this November , thank you once again ♥ good night and sweet dreams take care . !